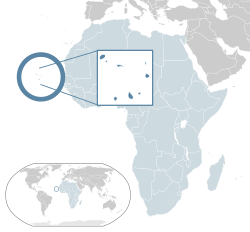 ↑ "People and Society – Cape Verde". पहुँचतिथी 27 August 2017. ↑ John Kerry (8 July 2014). "On the Occasion of the Republic of Cabo Verde's National Day". U.S. Department of State. पहुँचतिथी 11 July 2014. On behalf of President Obama and the people of the United States, I send best wishes to Cabo Verdeans as you celebrate 39 years of independence on July 5. ↑ 5.0 5.1 5.2 5.3 "Burundi". International Monetary Fund. पहुँचतिथी 13 January 2015.